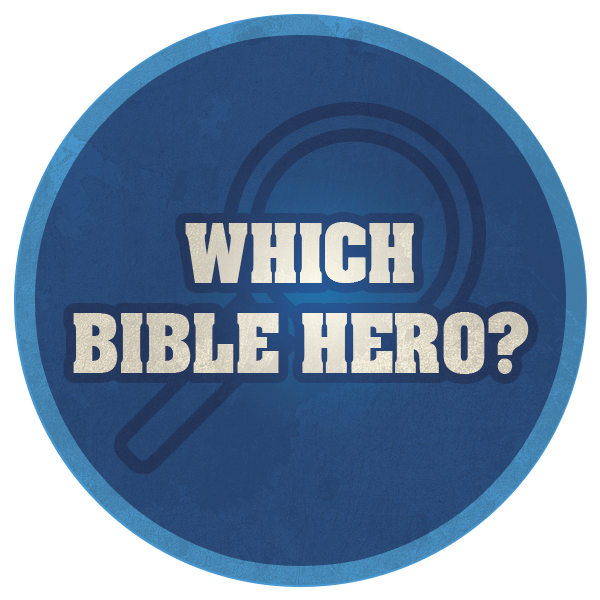 Being a "Bible Student" or being a "Bible Detective"? When kids are excited, having fun, and engaged- chances are they will retain more of what they are learning. 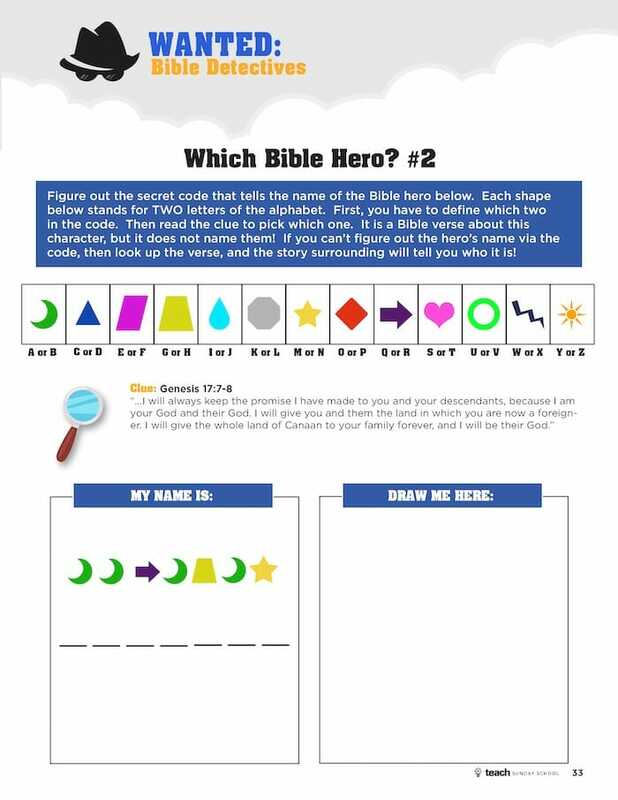 Our Bible Detective Worksheets were created to get kids PUMPED to go hunting through their Bibles. Kids will discover fascinating stories, heroes, and heroines that are FAR more interesting than anything they can find on TV. Solving Bible mysteries is the attention grabber that pulls kids in and has them coming back for more. 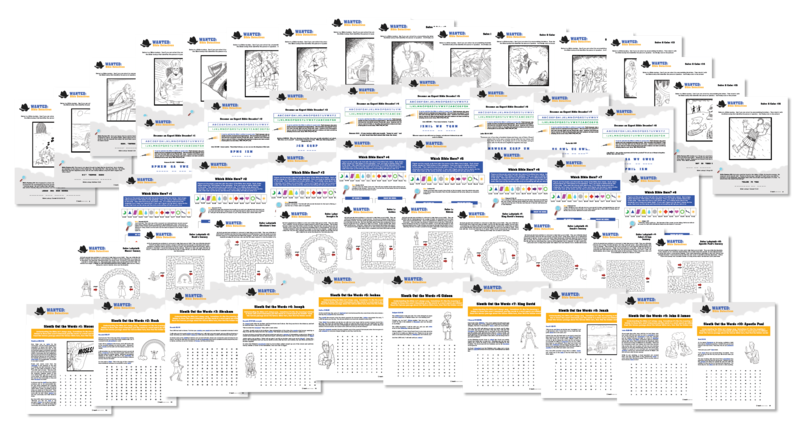 Behind the scenes, these worksheets build Bible literacy and navigation skills that will last a lifetime. 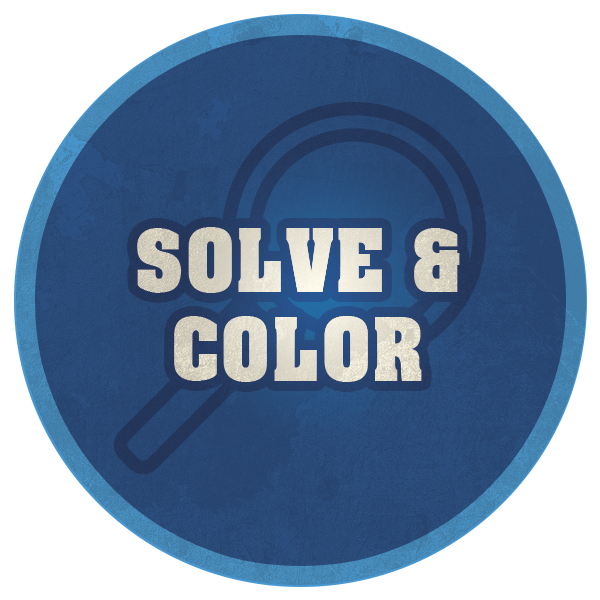 Solve & Color: Bible characters are masked on the pages (their names are not mentioned), but clues are given as to their identities. 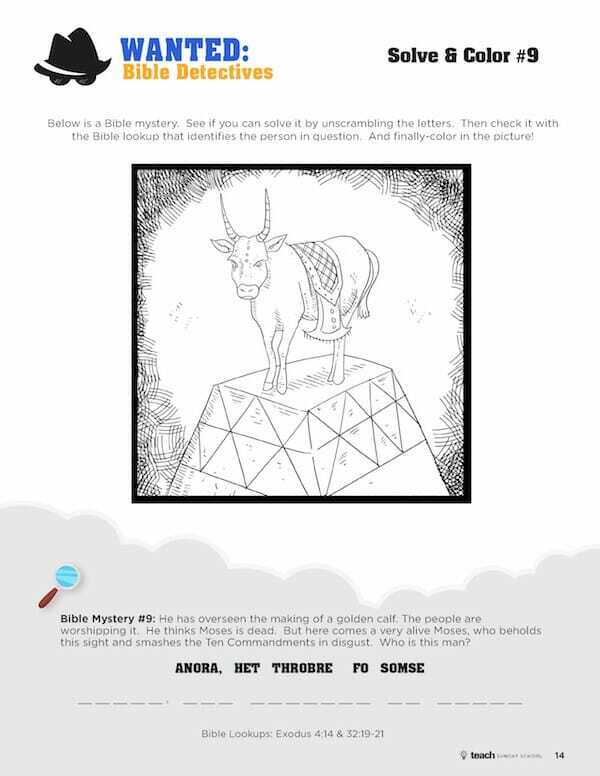 Kids can solve in two ways: (1) unscramble the identities or (2) complete the Bible lookup in which the names are given. 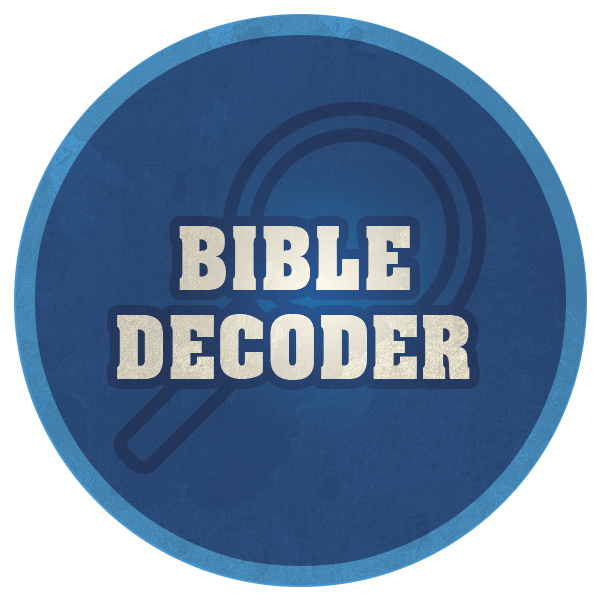 Bible Decoder: These mysteries require decoding famous foundational scriptures using the English alphabet, but it's on a slide-rule principle, where one letter of the alphabet equals its counterpart, which is 18 letters up the scale. Which Bible Hero: Kids will get to decode the names of bible heroes using an alphabet that resembles hieroglyphics. 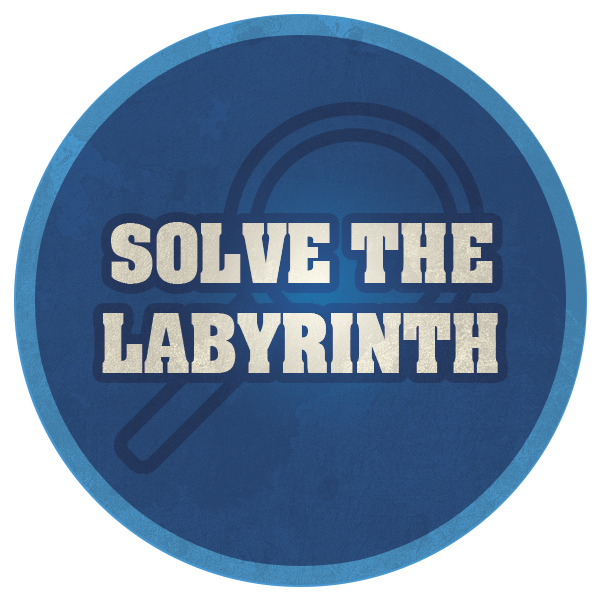 Solve the Labyrinth: Kids find their way through the maze. At the bottom is a new & Unusual type of lookup: It leads students to the chapter and has them searching for the correct verse to finish a fill-in. 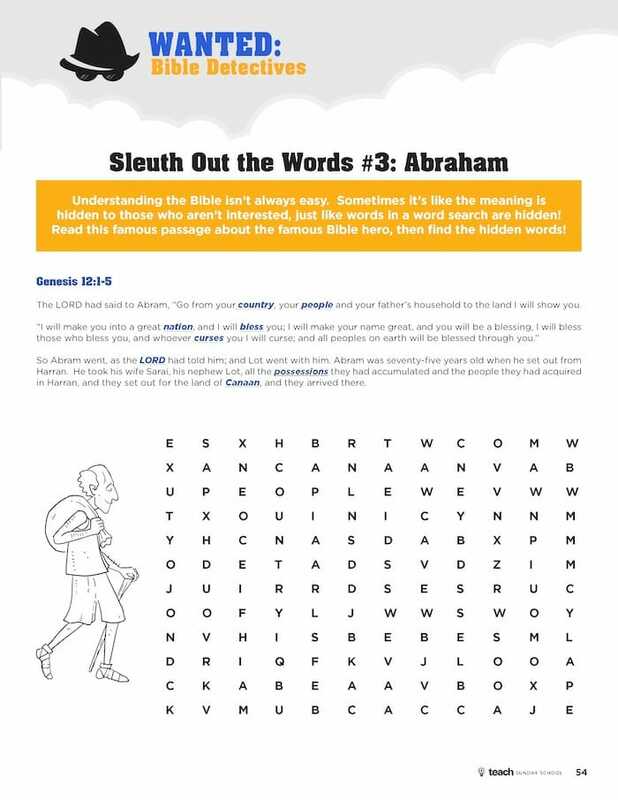 Sleuth out those Words: Each worksheet provides a passage of scripture telling details about a specific Bible hero. 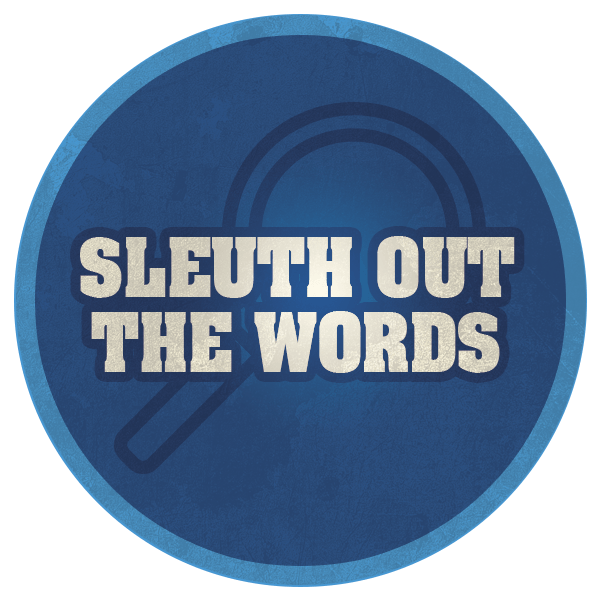 Kids must find the words that are bolded in the word search! As soon as your order is securely processed, we’ll direct you to a download area, where you can get instant access to all 50 Bible Detective Printables. We are so sure that you will love the Bible Detective Mystery Worksheets that we are offering an unconditional 100% money-back guarantee. 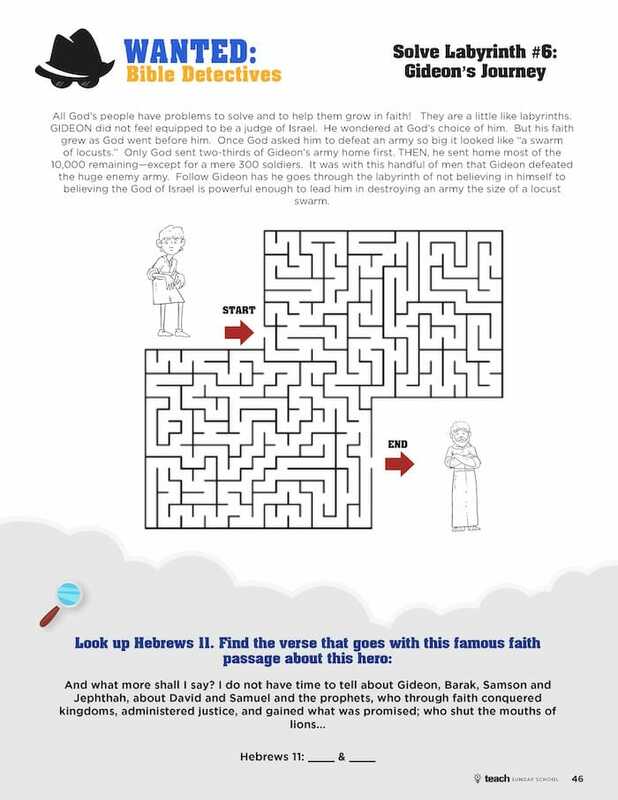 The Bible Detective Worksheets were designed for ages 6-12. The material is equally effective with mixed age groups or single age classes. Younger children who are not yet able to read independently can be paired up or placed with older children. 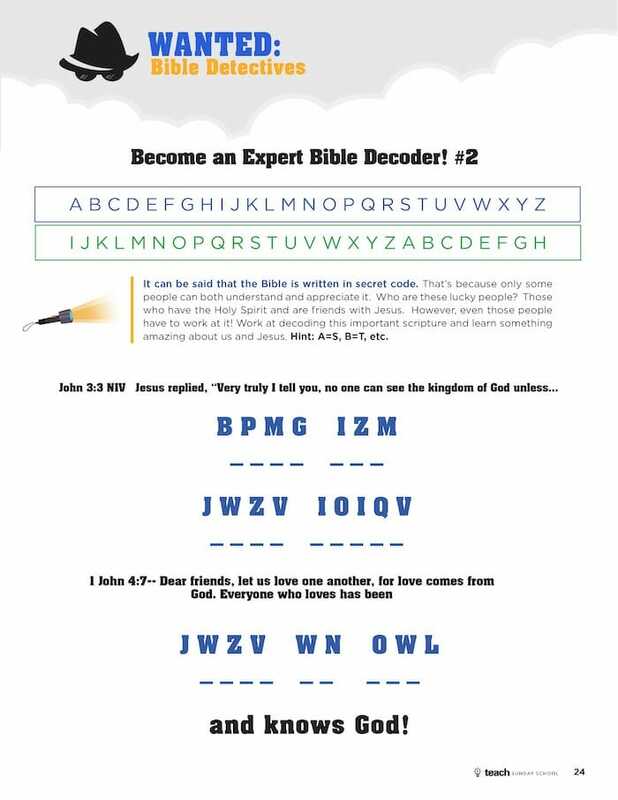 Our Bible Detective Worksheets were designed to be used with the New International Version (NIV) of the Bible. 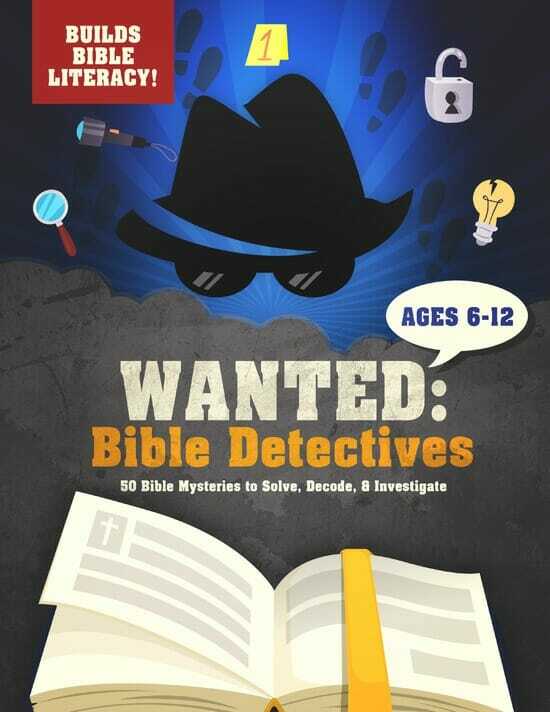 The Bible Detective Worksheets can be used within minutes after purchase. The only “prep” required is printing out the worksheets & finding a pencil and Bible. Both! Our worksheets work equally well in a large Sunday School class or a single child homeschooling setting.